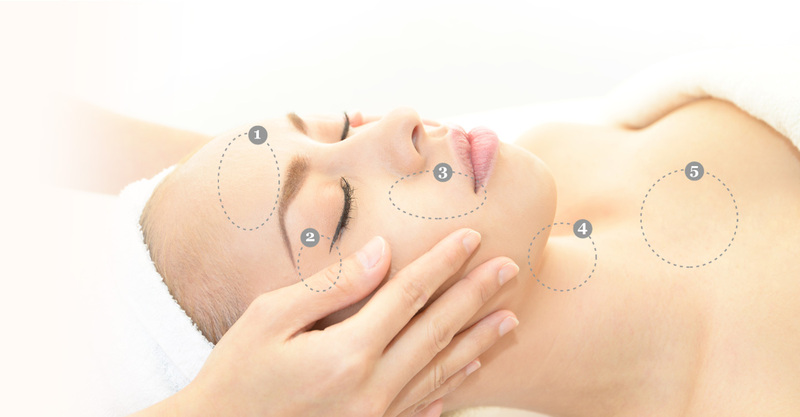 - Eliminate "text neck" and/or "turkey neck"
Created for the person on the go, these customized facials are uniquely designed to give you maximum results in minimum time. Formulated to refresh, renew and revitalize. Our signature facials address sought-after skincare needs and overall well-being to enhance the texture and tone of your skin for a glowing complexion. This intensive treatment will soothe fine lines and improve skin texture. It will tighten and tone skin resulting in a youthful complexion with firmer skin and shrunken pores. This treatment brings the light back to your skin and lets it glow by combining potent formula of professional strength vitamin c. Enhance collagen production and protect the skin from free radicals, environmental damage, and or lifestyle stresses. Acne is one of the most undesirable widespread medical conditions in the world. This facial effectively treats oily, congested and blemish-prone complexions while normalizing the skin to prevent future imbalances. Tailored for the unique skin care needs of men, this facial includes a thorough cleansing and exfoliation treatment leaving skin smooth and healthy. We address the skincare concerns on your back as we would your face. Our product's active ingredients will be leaving you with incredibly softer and smoother skin. Let us help you take care of the skin in these often-neglected areas you can't reach. We customize each treatment to help exfoliate dead skin cells and provide nourishment to allow your skin to be healthy and beautiful. Vitamin C has a vital role in maintaining the health of your skin. It is key to the production of collagen, which aids in the growth of cells and blood vessels and gives skin its firmness and strength. Vitamin C is a powerful antioxidant that protects our skin against free radical damage and repels the effects of aging. Get FREE updates sent straight to your inbox. Join our e-newsletter now.